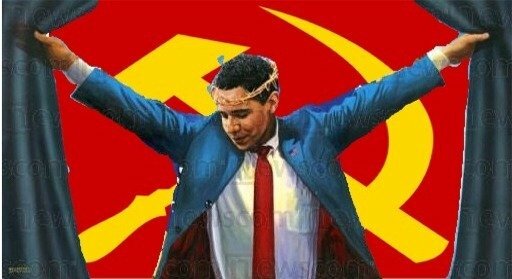 Here at GayConservative, many of us are fighting for one thing and one thing only — ABO (Anyone But Obama). As time passes, and despite what happens in November with Governor Romney and Obama, I want to re-iterate the experience of Governor Palin. Nobody comes close to her experience or her fight at the forefront of the GOP machine and politics as usual in Washington. So far this year alone, she’s endorsed three winning candidates and with specific regard to Deb Fischer for US Senate in Nebraska, Palin’s endorsement of the Nebraska unicameral legislator perceived as an underdog up until that point catapulted Fischer to the front and she went on to win the primary. All that being said, I’d like to share with you Governor Palin’s no-nonsense record of executive experience and accomplishments. Enjoy! Awhile back, Whitney Pitcher and I put together a list of Governor Palin’s executive accomplishments. That list later became an article featured on Breitbart’s Big Government, as an answer to those who proclaim that Governor Palin was somehow “unqualified” to be on the 2008 Republican ticket. Using facts and historical record, Whitney and I compiled a list that proves every single-one of these people wrong. Keep in mind, most of the people making this assertion (including former McCain staff members), voted for a junior senator from Illinois (with a less than stellar record) in that election. I wanted to make this information available in list form, as a resource for our readers to help educate America about the good work that Governor Palin has done throughout her career. This information also confirms that Governor Palin was more than qualified to serve as this nation’s Vice President. Sarah Palin was the first female and youngest governor ever elected in Alaskan history. Alaska is tied for the second most powerful governorship in the United States. Cut state spending between 2007 and 2010 by 9.5%. In FY2007, Gov. Frank Murkowski requested $350 million in federal appropriations, which Gov. Palin reduced to $256 million in FY2008, $198 million in FY2009, and $69 million in FY2010. Invested $5 billion in state savings, overhauled education funding, and implemented the Senior Benefits Program to provide support for low-income older Alaskans. [W]e MUST come out with a strong position against AK ‘ s perceived ” Bridge to Nowhere” so we quit looking clueless and selfish across the nation and can clear up the perception that the Gravina project is the state ‘ s priority . The $350m bridge is not our priority. The nation needs to be spending $ on fixing what we have – Minnesota needs ” bridge money” today more than we need a few Alaskans to perpetuate the nonsensical notion that our Gravina earmark is more important than fixing aged infrastructure. We would gain so much if we get that message out there – that the nation can pull, and work , together and make wise decisions on federal priorities … we should see that earmark redirected to Minnesota ‘ s tragedy be the Gravina bridge isn’t going to happen on our watch anyway. “As I wrote to our congressional delegation on January 7, our administration recognizes that President-elect Obama and the congressional leadership of both parties favor the use of formulas to ensure fairness among the states and to avoid the earmark abuses of the past. Proposed a $2.6 billion investment in the Education Fund to help fund public education for the future. The Governor vetoed nearly a quarter of a billion dollars of projects contained within Senate Bill 53. Establishing a budget process, the Governor focused her decisions on the Constitutionally-mandated services of education, public safety and health, and infrastructure. 2007 vetoes included projects such as berry economic development, the AT&T Sports Center, a Salmon Study, a tennis court at the Lions Club, batting cages, gun club facility improvements, motocross course construction, a virus free seed potato project, and numerous other items placed in the budget that were not the State of Alaska’s responsibility. In all, $268 million was vetoed from the budget bills. “The budgets will provide needed services, will leverage other funds and will make a significant investment in Alaska’s future,” Governor Palin said. Vetoed 361 line-items in 2008. Utilized line item reductions to reduce proposed spending by $80.3 million in 2009. Instituted a temporary hiring freeze to reduce expenditures during a period of unanticipated low oil prices in 2009. Cut spending more than 33% in FY2010 from FY 2009’s budget. Signed energy legislation suspending the state motor fuel tax. Signed legislation opposing a federal aviation fuel tax. For the second year in a row, unemployment insurance tax rates have dropped. “The 2009 unemployment insurance tax rates will be the lowest Alaska employers have experienced in 29 years,”Governor Sarah Palin announced today. An employer in the average rate class will pay approximately $93 less for each employee than in 2008. The rates are applicable to the first $32,700 of the individual employee earnings. Cut property taxes as Mayor of Wasilla. She eliminated small business inventory taxes; cut property tax mil levy every year she was in office (6 years straight). Reformed the state’s pension program by ensuring a successful transition from a defined benefits to a defined contributions system and addressing the $8 billion unfunded liability in Alaska state’s retirements, making it more solvent and leading to a decrease of 34.6% in state liabilities during her tenure. o “The state’s strong financial management and generally conservative forecasting”: during her tenure, Governor Palin cut spending 9.5% and reduced earmarks 80%. o “The state’s financial flexibility, enhanced by the maintenance of large reserves derived from windfall oil revenues since fiscal year 2008”: Governor Palin’s oil tax reform plan implemented in FY2008 was a severance or production tax on oil companies—a tax they paid as a recompense for developing the Alaskan owned natural resources has helped create fiscal reserves for the state. o “The state’s moderate debt burden”: During her tenure, Alaska’s overall debt decreased nearly more than 157 million dollars between FY2007 (her predecessor’s final budget year) and FY2010 (her final budget year), while debt outstanding increased at 4.2% annual rate (between FY 2007 and FY 2010) compared to the 6.8% annual rate of her predecessor (between FY2003 and FY2007). o “An accumulation of multiple budget reserves equal to more than 200 percent of the general fund budget”: Due to legislation like ACES and the frugal budgeting of Governors Palin and Parnell, Alaska now has a 12 billion dollars in savings. 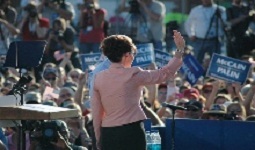 During the VP campaign, Governor Palin was able to tout a more than $5 billion surplus. Spent less on travel expense than her two predecessors despite having a larger family. In fact, she spent over $913,000 less on personal expenses in her first two years than former Governor Frank Murkowski did his last two years. Rejected a gubernatorial pay raise. Took a voluntary pay cut as mayor to set the tone for her administration. ACES: In 2007, Governor Palin signed ACES—Alaska’s Clear and Equitable Share—a net tax on oil profits that was passed in a bipartisan and transparent manner.Constituents had opportunity to read a draft of the bill 17 days before legislators discussed it. ACES replaced the corruption tainted oil tax plan of the previous administration which was passed in secret and ultimately lead to the indictment of several Alaskan state officials and oil company personnel. ACES provided oil companies with incentives to develop. The progressivity of the tax meant producers were protected when oil prices were low while the interest of the resource owners—the people of Alaska— were appropriately protected as well. There were a record number of oil industry jobs in each year from 2007, when ACES was implemented, to 2009. The number of oil companies filling taxes with the state of Alaska doubled between 2006 and 2009. This includes a number of independent and foreign oil companies. Natural resources and logging jobs increased 13.7% during Governor Palin’s tenure according to Alaska Department of Labor and Workforce Development data. Contributed to Alaska’s credit upgrade by Standard and Poor’s. Helped the state to put $12 billion into savings. AGIA (Alaska Gasline Inducement Act) — After many decades of unsuccessful attempts to bring a gas pipeline project into existence, Governor Palin and her team introduced to Alaskans the Alaska Gasline Inducement Act (AGIA) in March 2007. AGIA passed the Legislature by a vote of 57-1 in May 2007. The framework for America’s largest private sector infrastructure project—a natural gas pipeline—was signed into law by Governor Palin on June 6, 2007. In August 2008, the Alaska Legislature authorized the Palin Administration to award the AGIA license to TransCanada Alaska. In June 2009, Exxon Mobil signed an agreement with TransCanada to partner on the project. Governor Palin’s AGIA legislation was conducted out in the open, made use of a competitive bidding process and placed not only Alaska, but the nation on a path toward energy independence. Facilitates commercialization of North Slope gas resources in the state. Promotes exploration and development of Alaska’s oil and gas resources. Maximizes benefits to the people of the state from the development of oil and gas resources. Encourages oil and gas lessees and other persons to commit to ship natural gas from the North Slope to a gas pipeline system for transportation to markets in Alaska or elsewhere. Pt. Thomson: Under Governor Palin’s leadership, drilling Commenced at Pt. Thomson after Exxon Mobil had sat on their leases for more than 25 years The Point Thomson field contains one of the largest untapped and proven reserves of oil and gas on the continent. PSIO addresses lax maintenance practices on the North Slope that came to light last year after corroded pipelines spilled 200,000 gallons of oil, leading to production shut-downs at Prudhoe Bay and interruption in the flow of oil revenue to the state, she said. PSIO requires industry to establish and maintain quality assurance programs, and requires the state to inspect facilities to ensure operators comply with those programs. PSIO will also search for any gaps in laws, regulations or industry practices that threaten the integrity of the state’s oil and gas infrastructure. If necessary, the office will step in and exert the state’s authority as issuer of development leases to ensure the system and the state’s interests are protected. Served on national energy committees: Governor Palin served as Vice Chair of the National Governors Association and as the Natural Resource Committee and Chairman of the Interstate Oil & Gas Compact Commission. Alaska was 2nd in job growth compared to all other states during her tenure as governor. Alaska was 3rd in the nation in terms of change in the unemployment rate relative to the national average. Alaska saw a record number of oil jobs in both 2008 and 2009; natural resource and logging jobs increased 13.7% during Governor Palin’s tenure. In her first year in office, Alaska was 6th in the country in unemployment improvement. Governor Palin cut business license fees in half, during her tenure. Alaska moved up from the 4th most business tax friendly state to the 3rd most business tax friendly state during her tenure. She signed legislation allowing Alaska-based businesses the same opportunities as out-of-state businesses, within Alaska. The number of oil companies doing business in Alaska doubled following the passage of ACES. Alaska’s exports grew to a record-high $4 billion in 2006, a 12.6 percent increase. Alaska’s exports for 2007 reached $3.9 billion, the second best year for exports. Governor Palin fought for and signed sweeping bipartisan ethics legislation which restricted lobbyists, improved disclosure laws, and improved executive and legislative branch ethics laws. She has pushed through ethics legislation amid a burgeoning corruption investigation of Alaska lawmakers. She has bucked her party’s old guard. And she has ordered her administration to seek fewer congressional earmarks. She released her ACES—oil tax bill—to her constituents 17 days prior to the special legislative session where it was to be discussed. She opened up natural gas pipeline deals to all potential parties. Governor Palin did not allow lobbyists in her office. Supported increased vocational training and early education funding. Offered to personally talk to students considering dropping out of school. Increased overall funding for special needs education 175%. Increased funding for the Alaska Youth Challenge Academy 18.8% in her first year in office (FY2008) compared to her predecessor’s final year (FY2007). Governor Palin’s FY2008 capital budget included $2.5 million for special needs housing (a 42% increase in capital funding over her predecessor) and $250,000 for Special Olympics facility upgrades. The bill would establish an Alaska health care information office to give consumers factual information on quality, cost and other important matters to help them make better-informed decisions about health care in the state. Recognizing that health care must be market-and business-driven, rather than restricted by government. Proposed repeal of Certificate of Need—a layer of bureaucracy that prevents medical facility development. Established the Alaska Health Strategies Planning Council in the Office of the Governor. Reduced Medicaid assessments for seniors, those who are disabled, and those who are ill by 83% of her predecessor. Expanded Alaska’s Senior benefits program, even signing emergency authorization between the legislature’s general and special sessions. Joined multi-state amicus brief authored by the state of Texas in support of the Second Amendment right of individual Americans to bear arms. Awarded with the NRA’s Gold Medal Award of Merit and the NRA Benefactor Life Membership for defending the 2nd amendment. “Inappropriate implementation of this listing decision could result in widespread social and economic impacts, including increased power costs and further increases in fuel prices, without providing any more protection for the species,” Department of Natural Resources Commissioner Tom Irwin said. Transitioned responsibility for the quality of Alaska water resources from federal to state control. Alaska is the first line of defense in our missile interceptor defense system. The 49th Missile Defense Battalion of the Alaska National Guard is the unit that protects the entire nation from ballistic missile attacks. It’s on permanent active duty, unlike other Guard units. As governor of Alaska, Palin is briefed on highly classified military issues, homeland security, and counterterrorism. She’s also the commander in chief of the Alaska State Defense Force (ASDF), a federally recognized militia incorporated into Homeland Security’s counterterrorism plans. Palin is privy to military and intelligence secrets that are vital to the entire country’s defense. Given Alaska’s proximity to Russia, she may have security clearances we don’t even know about. She made official visits troops in Kuwait, Germany and Kosovo. Military personnel stationed in Alaska and serving in any National Guard or Reserve unit received free hunting, fishing and trapping licenses. She supported both parental notification and parental consent laws for abortion. Governor Palin supported state constitutional amendments or legislation that would have stated abortion is not a right & made coerced abortion a crime. She also signed the ‘Safe Haven’ Bill into law. Signed the Sonya Ivanoff Act. SB 45, mandating the maximum sentence for first-degree murder when committed by an on-duty peace officer. Extended the Council on Domestic Violence and Sexual Assault. Made it mandatory that the governor and the Board of Parole to work together to ensure any decision on clemency is based on a thorough review of the case and made in deference to victims and their families. Directed multi-departmental Effort to improve aviation safety. Signed aviation, consumer protection legislation. I am just as sickened by the blatant and feckless reporting of the alleged sexual harassment charge leveled against Herman Cain as everyone else is. As a Palin supporter, I am used to vile rumors spread by ANONYMOUS sources. Ann Coulter, when speaking with Geraldo the other night on Fox was right when saying that the left is terrified of strong conservative black men. Might I remind people though that the left is just as terrified of strong conservative women? This happened to Sarah Palin, remember? So, Republicans can bask perhaps in the fact that a Palin presidential campaign was never meant to be. But if you are (or were) one of those people who “really like” Sarah Palin but feel she is too badly damaged by the media’s lies, then I hope you never sincerely plan on supporting another good grassroots conservative ever again — INCLUDING Herman Cain. In unison with Mr. Cain, Palin had business experience before entering public office. She tells it like it is and delights us when she says something that irritates establishment candidates and politicians. In contradiction to Herman Cain, Palin also gave us a strong record of elected public office. She did a fine job at running the Alaska Oil and Gas Conservation Commission. She also comes with the experience of dealing with the bastards in the media for the past three years who not only accused her of sexual misconduct but also questioned the birth of her son Trig as well as her fidelity to her husband. So why this grand movement of support for Herman Cain all of a sudden as if it were a bullet out of the blue that the media attacked non-establishment conservatives? Newsflash: The media is never going to hold back on unfair attacks of a candidate. If you (or pundits on Fox) are going to fight back at the media nonsense now with regard to Cain, you have to continue doing it in the future as Palin’s supporters did for three years while virtually everyone else wrote her off. Gov. Palin said with regard to the election that it wasn’t enough to just change-up the uniforms, we have to change our game plan. If you want Herman Cain to stand a chance, you might want to take her advice. Otherwise, you can sit back and accept Mitt Romney as our nominee who coincidentally sits behind Obama in most of the state-by-state polls. Last night on Greta’s program following the debate, Sarah Palin joined the Fox News host to discuss the candidates. I agree with Palin’s assessment of not getting a whole heck of a lot out of it other than some usual banter between the candidates. However; I did take note later in the segment when she began to say that Newt Gingrich would “clobber” Barack Obama in a debate. One of the reasons my heart was so broken after Palin announced she wasn’t running is because I truly supported her positions and her “plan” which she laid out in Indianola, Iowa at the speech she delivered on September 3rd. 1.) Eliminate corporate income tax. This gives corporations less incentives for lobbyists as they won’t be seeking tax breaks and favors. It cuts the crony capitalism which I believe is going on with a couple other of our candidates. It makes America the most attractive place in the world to do business in. 2.) True stimulus = robust and aggressive development of our own resources here at home. This will create about a million GOOD-PAYING jobs. 3.) Entitlement reform. As Palin said, we MUST deal with it. If not, the European markets will force us to deal with it down the road. 5.) Return power back to the states. You can see the video over at Texans for Sarah Palin. The night of Palin’s announcement, she said that many current candidates had already began contacting her to meet with her. The article posted to Politico the day after reported that Newt was one who reached out to her — even seeking her endorsement. Further, Newt went on to defend her “Death Panels” comment in the last debate. Since I cannot have Sarah Palin, the emphasis myself and many contributing writers over at C4P are doing are focusing on the remaining candidates as well as the House and Senate, using Governor Palin’s platform as our guide. You can catch my last analysis on the Missouri Senate Race here. While Newt has a few skeletons of infidelity in his closet, the remaining candidates for President bring their own baggage as well. But without a doubt, I agree that among all of them, the biggest asset of intellectual firepower we have is Speaker Gingrich.